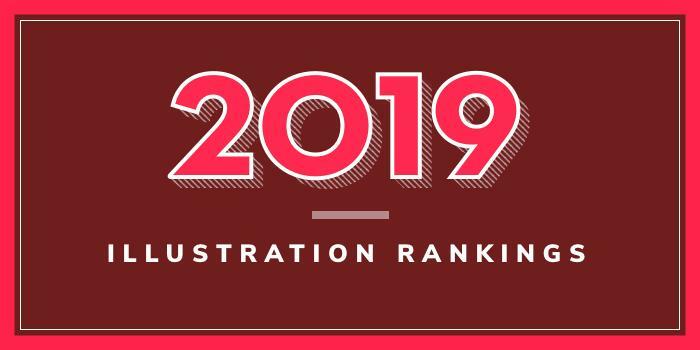 Our 2019 rankings of the top Illustration schools and colleges in the nation for illustration with a scientific, medical, and/or biological focus. Founded in 1876, Johns Hopkins University serves more than 24,000 undergraduate and graduate students enrolled in more than 260 programs in the arts and music, the humanities, the social and natural sciences, engineering, international studies, education, business, and the health professions. The school is made up of nine academic divisions plus the Applied Physics Laboratory. The MA in Medical and Biological Illustration (MBI) is offered through the Department of Art as Applied to Medicine—one of the departments in the School of Medicine. Founded in 1911, the Hopkins Department of Art as Applied to Medicine is the oldest medical illustration program in the country. Approved in 1959, the two-year MA program “provides broad interdisciplinary education and training in medical illustration” says the school “meeting both the scholarship requirements of the university and the visual communication needs of today’s health science professionals.” During the first year, students will take courses in advanced sciences, illustration, animation, 3D modeling, graphic design, instructional design, medical photography and business practices. During the second year, topics will cover surgical illustration, scientific writing, website development, and interactive media, independent research and thesis, presentations to scientific audiences, and ophthalmological illustration. Students in the program will access to all the facilities of the “world-renowned” Johns Hopkins Medical Institutions as well as student studios with fully equipped, individually partitioned work areas, ample communal workspace, and a state-of-the-art computer lab with multiple workstations, platforms, peripherals, and resources. The program culminates in the Portfolio course, which is designed to help students transition to professional life. Graduates of the Johns Hopkins Medical and Biological Illustration program “have a strong history of high employment rates with some students receiving job offers prior to graduation.” Graduates from 2014-2018 had an employment rate of 95% within the first six months. University of Illinois at Chicago (UIC) formed in 1982 by the consolidation of two University of Illinois campuses—the Medical Center campus, which dates back to the 19th century and the comprehensive Chicago Circle campus which replaced, in 1965, the two-year undergraduate Navy Pier campus that opened in 1946 to educate returning veterans. Today, as the largest university in the Chicago area, the school serves nearly 31,700 students enrolled in more than 200 programs in 15 colleges and schools. The College of Applied Health Sciences houses the MS in Biomedical Visualization (BVIS) Program, which is the largest and second oldest of four accredited programs of its kind in North America. Per the school, the MS BVIS Program “integrates medicine, life science, communication technology, visual learning, education science, research and artistic training.” Students will work with Medicine, Bioengineering and other departments at UIC and gain real world, hands-on experience through UIC’s “close relationships” with other Chicago medical universities, professional medical societies, medical advertising agencies, pharmaceutical companies, museums, animation studios and software companies. Students in the program can expect to take a variety of courses such as Advanced Craniofacial Anatomy, Anatomical Visualization, Animation, Biomedical Visualization Techniques, Business Practices, Graphic Design, Human Neuroanatomy, Illustration Techniques, Interactive 3D, Ion Channels Structure, Function Pharmacology and Pathology, Medical Legal Visualization, Modeling, Surgical Illustration, 3D Space, Video Game Design and Development, Virtual Reality and Stereography in BVIS, Visual Learning & Visual Thinking, and Web Development. Founded in 1828, Augusta University serves around 8,800 students enrolled in more than 140 academic programs through ten colleges and schools in locations throughout Augusta and at satellite campuses in Athens, Albany, Rome and Savannah. The College of Allied Health Sciences and the Graduate School offer an MS in Illustration that was established in 1948, making it one of the oldest graduate programs in medical illustration in the country. Students will also study communication theory and take graduate-level science courses, such as Gross Anatomy and Cell Biology, with the medical students. They learn the fundamentals of storytelling for science in mediums such as animation, illustration, and interactive media, and spend time each week in the operating room observing and sketching. In addition to formal classes, seminars and lectures, “students learn by hands-on performance, by participating in project critiques, and by cultivating creative thinking in peer-to-peer interactions.” To better prepare students “to be productive in the rapidly evolving world of communications,” class assignments are designed to give them both theoretical knowledge and practical experience. Graduates of the MS in Illustration Program have a 97.67% positive placement rate after graduation. Many graduates also run their own companies and in 2015, 17 alumni (or their companies) won awards from the 70th Annual Conference Association of Medical Illustrators. The alumni that won were graduates between 1989 and 2014. Cleveland Institute of Art (CIA) is an independent college of art and design that serves 615 students from around the globe. Established in 1882, the school offers 15 majors in Crafts, Design, Digital Arts, and Fine Arts. Sample courses for the program include Computer Imaging and Animation, Editorial Illustration and Instructional Design and Multimedia. Students and graduates of the program benefit from CIA’s professional partnerships with Case Western Reserve University, University Hospitals Case Medical Center, the Cleveland Clinic, the Cleveland Museum of Natural History and the Cleveland Botanical Garden. Graduates have gone on to land positions such as Art Director, Biomedical Illustrator, Illustrator, 3D Animation Artist/Designer, and many others. Ferris State University was founded in 1884 as Big Rapids Industrial School. The school began its 2017-2018 academic year with a total enrollment of 13,798 students across all campuses, including 9,860 on the main campus in Big Rapids. Ferris offers more than 190 educational programs through eight colleges including Arts and Sciences, Business, Education and Human Services, Engineering Technology, Health Professions, Pharmacy, KCAD, and Michigan College of Optometry. 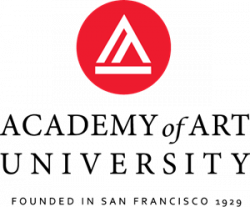 Founded in 1928, KCAD is located in Grand Rapids, Michigan. The school serves more than 1,000 students enrolled in around 24 BFA, BS, MA, MFA, and Certificate programs. Among these programs is a BFA in Medical Illustration. This three-year program consists of classes from KCAD, Ferris State University, Grand Rapids Community College, and Michigan State University. Students in the program will take a combination of Art, Communication, and Science coursework. Students will study Anatomy, Biology, and Medical Terminology, illustration techniques such as include All-Digital Illustrations, 2D Animations, Traditional/Digital Hybrids, Traditional Drawing Methods, and 3D (Digital) Modeling, and Visual Communications. Graduates of the program are prepared to seek intermediate to advanced positions in the medical field or for further graduate or professional level study. Rochester Institute of Technology (RIT) traces its roots back to 1885. The school serves nearly 19,000 students enrolled in hundreds of programs at the graduate, undergraduate and professional levels in nine colleges. The College of Art and Design offers a BFA in Medical Illustration. An MFA in Medical Illustration is available through the College of Health Sciences and Technology. Sample courses for the program include Computer Anatomic Illustration, Applications in Medical Illustration, 4D Design, Human Biology, Human Gross Anatomy, Illustrating Human Anatomy, Scientific Visualization, Surgical Illustration, 3D Animation Organic Forms, and 3D Modeling Organic Forms. Portfolio and Business Practices is also part of the program. Graduates of the program go on to establish careers such as Forensics Illustrator, Information Graphics Illustrator, Medical Book/Texts Illustrator, Medical Illustrator, Medical Interactive/Interface Designer, Medical Model Designer, Medical Legal Illustrator/Litigation Support Specialist, Prosthesis Designer/Anaplastologist, 3D Computer Modeler/Animator, 2D Medical Animator, and many others. Top employers for Medical Illustration BFA graduates include Anatomical Justice, Cell Press, Department of Neurobiology and Anatomy at University of Rochester Medical Center, Dragonfly Media Group, Legal Art Works, New England Journal of Medicine, Science Magazine, Smithsonian Institute, Visible Body/Argosy Medical Publishing, and many others. The MFA in Medical Illustration is one of only five such programs in North America and the only program in the Northeastern U.S. Per the school, this two-year program is “one of a very few undergraduate medical illustration majors offered in the country that prepare students to join the medical team as an allied health professional.” Program highlights include “extensive training” in 2D and 3D digital graphics, interactive media, and animation, projects designed for use in broadcast media, print, projection, and distribution via the web and mobile devices, and first-hand experience in real-life medical situations through RIT’s collaboration with area hospitals. Graduates of the program hold job titles such as Medical Illustrator, Freelance Medical Illustrator, 2D Medical Animator, 3D Computer Modeler/Animator, Medical Interactive/Interface Designer, Medical Web Designer, Medical Legal Illustrator/Litigation Support Specialist, Medical Book/Texts Illustrator, Medical Editorial Illustrator, Medical Model Designer, Prosthesis Designer/Anaplastologist, Forensics Illustrator, Ophthalmologic Illustrator, and Medical Illustration Educator. Alumni are often hired by RIT hiring partners such as Advanced Practice Strategies, Current Medicine Group/Springer Health-care Communications, Dartmouth Publishing, New England Journal of Medicine, Precision Graphics, Inc., Science Magazine, Smithsonian Institute, Springer Healthcare Communications, and Visible Body/Argosy Medical Publishing. Founded in 1923 as a teacher preparation college, Rowan University serves more than 18,500 students enrolled in 83 bachelors, 41 master’s, two professional, and seven doctoral degree programs in a dozen schools. The College of Communication & Creative Arts houses the Department of Art. Here, students can earn a BFA in Biomedical Art and Visualization. The program consists of 129 semester hours of study, including courses such as Biomedical Art: Digital Rendering Techniques, Biomedical Art: Introduction to Digital 3D Modeling, Biomedical Art: Storyboarding & Animation, Color & Design, Figure Anatomy for the Artist, Introduction to Game Media Design, Medical Sculpture & Forensic Reconstruction, and Surgical Illustration and Media. To create illustrations, students will use art media such as carbon dust, digital line & ink (Adobe Creative Cloud), graphite, interactive media (Adobe Creative Cloud, Unity and Unreal Game Engines), 3D modeling and animation (Autodesk Entertainment Suite), and 2D digital painting/illustration (Adobe Creative Cloud). Through Rowan University’s connections with major area hospitals, organizations and academic institutions, students gain real world, hands-on experience in medical, natural, and educational media. In addition to Rowan’s own Cooper Medical School, students will engage in projects and with professionals at Mutter Museum, Franklin Science Center, Academy of Natural Sciences at Drexel University, University of Pennsylvania, and many others. Students also have access to more than 200 study abroad programs in 40 countries. Graduates of the program work in career areas such as Government Agencies, Hospitals, Medical & Scientific Advertising/Educational Agencies, Medical Device & Biotechnology Media Markets/Design, Medical Legal and Forensics Firms, Museums & Cultural Institutions, Pharmaceutical Media Markets, Publishers, Serious Gaming & Interactive / Educational Media Design, Universities, and Veterinary Media Markets, to name a few. When University of Georgia (UGA) was incorporated on January 27, 1785, Georgia became the first state to charter a state-supported university. The school serves more than 36,500 students enrolled in 200+ majors and academic programs in 17 colleges and schools. In addition to the main campus in Athens, the school has campuses in Costa Rica, Cortona, Italy, Oxford, England, and Washington DC. The Franklin College of Arts and Sciences houses the Lamar Dodd School of Art. Here, students can earn a BFA in Scientific Illustration. The program consists of coursework in six areas including Foundation, Sciences, Quantitative Reasoning, World Languages and Culture, Humanities and the Arts, Social Sciences, and Arts. Sample courses for the program include Art Graphic Design Directed Study in Scientific Illustration, Color and Composition, Color Techniques in Scientific Illustration, Computer Animation for Dramatic Media I, II & II, and Design in Scientific Illustration, Ideation and Methodologies, Illustration, Printmaking: Lithography, Techniques and Topics in Science Illustration, Thematic Inquiry in Contemporary Art & Design, and Visual Narrative Systems. Students will work and learn in dedicated classroom space, facilities and studios. They will also have the opportunity to gain hands-on experience through internships and study abroad experiences. The school has more than 100 study abroad and exchange programs in 75 countries. Louisiana Tech University was founded in 1894 as the Industrial Institute and College of Louisiana. The school serves nearly 12,500 students enrolled in more than 250 undergraduate, graduate, and minor programs in five colleges. The College of Applied & Natural Sciences houses the School of Biological Sciences, which has the largest undergraduate enrollment on the Louisiana Tech Campus. Approximately 500 undergraduate students and 45 graduate students are enrolled in degree programs within the School. Program offerings include BS degrees Biology, Environmental Science, and Medical Technology. Minors are available in Biology and Environmental Science. The BS in Biology offers a Pre-Medical Illustration Concentration, which combines the study of biology with training in several areas of art. Sample courses for the program include Advanced Communication Media, Animal Physiology, Art Appreciation, Biological Diversity, Cell Biology, Ecology, Digital Painting, Drawing, Figure Drawing, General Chemistry, Human Anatomy and Physiology, Introduction to Graphic Software, Painting, and Technical Writing. During the final year of the program, students will complete a Studio Art Internship worth three credit hours. Coursework for the program satisfies course requirements for entrance to most graduate, medical, and dental schools, as well as other medical fields if certain electives are taken. Iowa State University began as Iowa Agricultural College and Model on March 22, 1858. The school serves nearly 36,000 students enrolled in hundreds of academic programs in 10 colleges and schools. The College of Liberal Arts and Sciences (LAS) is Iowa State University's largest college and includes 22 academic departments and one professional school. LAS offers majors in the humanities, social sciences, physical sciences, biological sciences and mathematical sciences. Program options for aspiring medical illustrators include a BA in Biological/Pre-Medical Illustration (BA BPMI) and a Minor Biological Illustration. The Minor in Biological Illustration requires a minimum of 17 credits, including eight credits in biological science courses and nine credits in art and design courses. Per the school, the interdepartmental BPMI program is “designed for students who want to combine their interests and aptitudes in science and art.” Sample courses for the program include Application of Scientific Illustration Techniques, Comparative Chordate Anatomy, Computer Modeling, Rendering and Virtual Photography, Dendrology, Design Representation, Plant Anatomy, Plant Systematics, Scientific Illustration Principles and Techniques, and Watercolor Painting. During the junior and senior years, students will complete a senior project or an internship experience, “in which they design and produce artwork that is suitable for publication or public display.” Study abroad opportunities are also available. Founded in 1853, Arcadia University serves 3,850 students enrolled in dozens of degree programs across five colleges and schools. The College of Arts and Sciences houses the Illustration Program, which offers a BA in Scientific Illustration with an Optional Emphasis in Premedical Illustration and a Minor in Scientific Illustration. Past internship sites include the Academy of Natural Sciences, Jefferson Hospital, and the Philadelphia Zoo. Buena Vista University (BVU) was founded in 1891 as Buena Vista College. The school became Buena Vista University in 1995 and now serves nearly 2,000 students enrolled in more than 45 academic programs and majors in 16 locations across the State of Iowa. Options for aspiring science and medical illustrators include a BFA in Scientific Illustration. Program highlights include access to painting and printmaking spaces and equipment, gallery spaces with customizable lighting and digital projection capabilities, a Mac Lab, and the opportunity to complete an internship. Past internships have included Des Moines Art Center, the Iowa Arts Council, and Planet Hollywood. Graduates of the program will have the skills need to produce high quality drawings and illustrations for academic journals, magazines, museums, magazines, scientific websites, textbooks, and other scientific sources. In addition to pursuing careers such as Arts Administrator, Illustrator, Master Printer, and Professor, graduates often go on to earn a graduate degree. BVU graduates have been accepted to the Art Institute of Chicago, Minnesota College of Art & Design, University of South Carolina, Wichita State University, and many others. Olivet College was founded in 1844. The school serves more than 1,000 students enrolled in 31 majors and 24 minors ranging from Accounting to Sports Psychology. The Arts & Humanities Department houses the Visual Arts Program, which offers a BA in Visual Arts with a Biological Illustration Concentration. Offered jointly with the Biology Program, the BA consists of 13 major core courses (Visual Arts), three concentration core courses, and six recommended elective courses. Per the school, the curriculum teaches students how to “draw realistically and accurately as well as to master a variety of commercial design skills involving the reproduction of graphic materials.” Sample courses for the program include courses such as Anatomy and Physiology, Biological Illustration: Advanced and Intermediate, Biological Science, Comparative Vertebrate Biology, Drawing Skills Lab, Figure Drawing: Intermediate, Image and Culture, Introduction to Graphic Design, Introductory Zoology, Portrait Sculpture: Fundamental, Printmaking: Fundamental, and Visual Foundations. Graduates of the program are prepared to seek positions that combine art and biology. Examples include Medical Artist, Medical Illustration, and Scientific Illustration. Offered at the Savannah campus, the Scientific Illustration Minor is a 25 credit hour program that consists of illustration and sequential art courses. Courses include Advanced Rendering Techniques for Scientific Illustration, Constructive Animal Anatomy for Creature Design, Constructive Human Anatomy for Sequential Art, Drawing for Sequential Art, Dynamic Visualization for Scientific Illustration, Environments, Props and Structures, Illustrative Anatomy and Perspective, and Introduction to Scientific Illustration. Students in the program have the opportunity to compete in SCAD Summer Seminars such as Summer Seminar: Botanical Illustration and on-campus conferences consisting of Science and Nature Illustrators. Students will also have the opportunity to exhibit their work and participate in art competitions. Founded in 1877, Rhode Island School of Design (RISD) is home to 2,480 students from across the U.S. and 57 other countries. This private school of art offers 16 undergraduate and 16 graduate (MA, MFA, MAT) art and design programs. Certificates are also available, including a Certificate in Natural Science Illustration. Offered through the Department of Continuing Education, the Natural Science Illustration Certificate is a flexible program designed for working adults. Depending on what works best for the students schedule, programs can be started in the Fall, Winter, Spring or Summer. Per the school, the program “utilizes RISD’s unique facilities including the Edna Lawrence Nature Lab as well as site/field visits to the Roger Williams Park Museum of Natural History, Zoo and Greenhouse. The program begins with core courses including Applied Color, Design, Digital Design Techniques, Drawing, and electives such as Botanicals: Colored Pencil on Film or Drawing Workshop: Intermediate to Advanced. The concentration consists of Adobe Photoshop, Artful Bird or Artful Insect, Drawing from Nature, Drawing II, and Painting from Nature. Electives such as Printmaking Workshop and Watercolor are part of the program as well as Weekend Technique Intensives and Final Studio: Natural Science Illustration. Sample courses for the program include Cell Biology and Lab, Drawing Concepts and Methodologies, General Botany, Human Anatomy, Human Physiology, Illustration, Invertebrate Zoology, Minnesota Plant Identification, Perceptual Drawing, Plant Physiology, Organismal Biology, and Studies in Figure Drawing. Other program components include participation in student organizations, the opportunity to exhibit work in local and regional art exhibitions, and the opportunity to gain hands-on experience through volunteer and service learning opportunities. Students may also participate in the MSU Moorhead Internship and Study Abroad Programs. Virginia Commonwealth University (VCU) began as Medical College of Hampden-Sydney in 1838. It later became the Medical College of Virginia and after merging with Richmond Professional Institute in 1968, the school became Virginia Commonwealth University. Today, VCU serves more than 31,000 students from across the U.S. and over 100 countries. The school offers over 200 academic programs through more than a dozen colleges and schools. The Medical Illustration Program is offered through the School of the Arts, Department of Communication Arts. The program, which leads to a BFA in Communications with a Concentration in Scientific and Preparatory Medical Illustration, requires 32 credits in the biological sciences and chemistry, in addition to communication major and illustration courses. Sample courses for the program include Business of Communication Arts, Concept Drawing, Digital Drawing, Drawing Studies: The Figure in Context, Focused Inquiry, Fundamentals of Typography, Illustration: Drawing and Painting, Inquiry and the Craft of Argument, Piloting the Enterprise, Scientific Illustration, Sequential Imaging, Space Research, Time Studio, Visual Communications, and Visual Studies: Drawing. Students in the program will complete a number of studio electives as well as a Senior Project and the Senior Portfolio. They will also have the opportunity to participate in experiential learning experiences, complete an internship, and participate in the study abroad program.